I don’t speak about it often, but it’s been my dream for nearly 8 years now to move to Vancouver, BC. There’s a whole laundry list of reasons why. The weather is much more preferable than Winnipeg, the culture is right up my alley, the smattering of friends located nearby and I’m a HUGE Vancouver Canucks fan. Of course there are other more practical reasons for us to move such as career options & schooling. I had my first taste of BC living 9 years ago. I moved with my ex-husband to a small ski-resort town called Nelson. Set on a lake (that never freezes – can you imagine?) in the heart of the mountains, each morning I woke up in awe of the beauty that surrounded me. Even though I was working for minimum wage at the local bookstore, I found it hard not to smile as I made my way down the mountain (quite literally) to work. Sure it wasn’t all peaches, I missed my family & friends and well, my marriage did take a nose dive, but I still reflect on those 9 months in Nelson as a key factor in shaping who I am today. Coming home wasn’t a decision I made lightly. I had no desire to move back to Winnipeg at all, but picking up the pieces of my life was a task I needed support with and since all my family and friends lived back home, well it made sense. But since then I’ve been quietly….okay maybe not so quietly, yearning to move back. Well folks I am happy to announce that come September, Brandon and I will be making our way west to live in Vancouver! 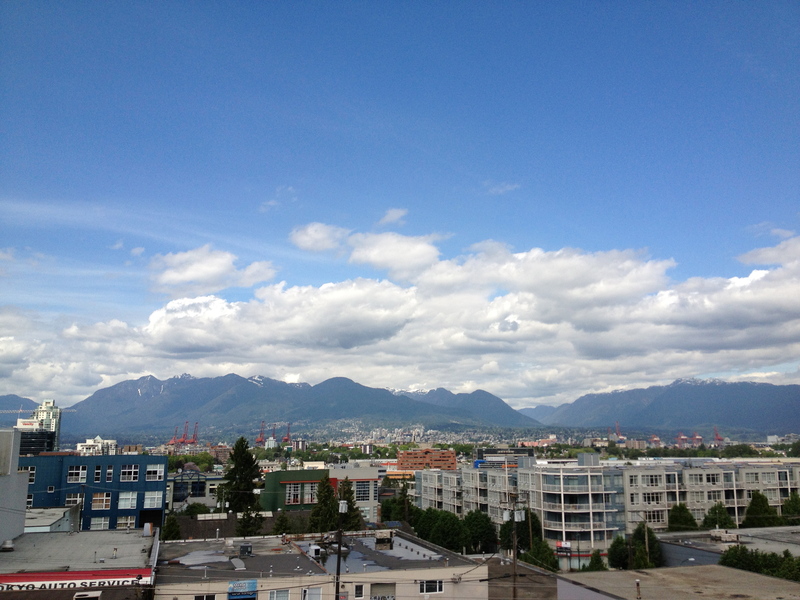 Who says it’s always raining in Vancouver?! It’s a dream come true for me and it takes all of my energy not to dance around tossing handfuls of Skittles in the air (I like the red ones 🙂 ), whispering Taste the Rainbow and giggling like an eighteen year old drunk on peppermint schnapps!